Are you interested in being a winemaker for a day? Does the thought of playing with beakers and graduated cylinders make you want to get your wine nerd on? I know, me too! 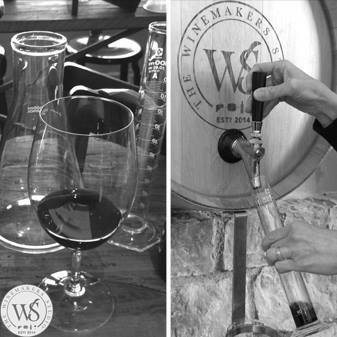 Now you can indulge that passion at The Winemakers Studio, located at the HQ of my podcast sponsor, Wente Vineyards, in California’s Livermore Valley. To learn more, I welcome back Carolyn Wente, CEO and Fourth Generation Winegrower, to the show for a chat about this cool new spot for the wine-curious. So what can you expect to encounter at The Winemakers Studio? Well one of your options is to partake in the Winemakers Blending Experience. Mix it up with four barrels of Wente Cabernet Sauvignon, each from a different site. You get to sample how different vineyards produce different flavors (and other components) that contribute to what you experience in the glass. But maybe you’ve arrived The Winemakers Studio and are not recognizing some of the things exactly as I’ve described above? Do not fear. And do not blame me. See, just like at a winery and in a vineyard, things aren’t static in the studio. The season dictates the activities taking place. Your visit one month may be different than the next. And that’s a good thing. One of the guiding principles at The Winemakers Studio? “Keep it fresh, keep it changing,” explains Carolyn. 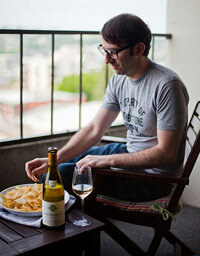 Wine Without Worry: Getting to Know California Chardonnay with Carolyn Wente.